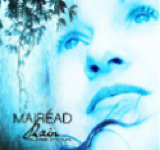 Rain - How Beautiful The Sound, Mairéad’s latest release, was created over quite a long period of time. With the responsibilities of parenthood now taking center stage the album was produced over three periods. Working with her old friend, respected producer and collaborator Jimi Zhivago in New York and then recording a second set of songs in LosAngeles with Jim Goodwin, Mairéad stepped up to the producing helm with huge support from her trusted studio engineer Chris Fuhrman to create an Album of work that felt the most reflective of her true self. These years also saw much loss and heart break. This is very much reflected in the work. Songs of refuge, acceptance, hope after tragedy and existentialism are the themes of this deep wide ocean of music. 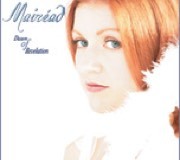 Mairéad’s sophomore album Dawn Of Revelation was recorded at a time of huge excitement and beginnings. After the successful release of Open the Door, the momentum of her music had transported her to the City Of Angels to work with the noted Artist and producer Jim Goodwin. Working out of the enchanted Egg Chair Studio (Fred Astaire’s old dance studio in the heart of Hollywood) a broad and wide canvas of creation followed. The songs were allowed to grow in collaboration with world class musicians and it raised Mairead’s creative currency considerably in the studio. The resulting body of work takes the listener on a journey of an Artist refining her voice and her musical language with songs full of heart and yearning, love and redemption, and solace after pain. Big songs that break your heart wide open. Open The Door is Mairead’s first solo album. Born after a huge period of transition having left her band Too Cynical To Cry who she had been touring with for five years. Recorded at the end of her second decade, Open The Door as a piece of art was conceived through faith, hope and trust. Faith that moving to a Solo career was the right choice. Hope that her songs would resonate and find an audience. Trust that every time she went to the bank the money would be there to pay for the costs of making the Album. In Chris Tarrow who produced this record with Mairéad she found a capable and confident ally. Chris allowed her to find her voice and to explore this new path but kept her focused on the task at hand and the resulting album is a work of fresh, honest songs that still contain depth and maturity.